They seem to have closed and gone. what a fantastic place, we were made to feel so welcome, like part of the family!!! 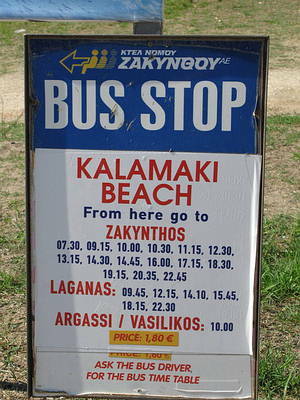 The food was brilliant, I recommend anyone gaing to Kalamaki to visit you. thank you again for everything, see you next year, we'll keep in touch. Ate once at Castello's. Food OK...nothing special. Seemed pretty quiet when we ate there, so not much atmosphere. Better pizza's elsewhere. 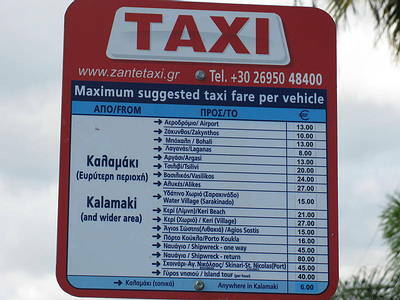 Came back to Zante for the 7th time this year, ate at Castello's 3 times - food still really good - Miak's Pizza is great! Well worth a visit. Excellent food & very good value for money, we ate here twice, sit upstairs you get a good view of the Kalamki 'strip'. The 'singing guy' at the front was a scream, well worth a visit, plenty of choice, try the lamb, its wonderful. BEST EATING BEST CHEF BEST SERVICE STEAK TO DIE FOR . WORTH GOING TO ZANTE JUST TO VISIT CASTELLO .SEE YOU NEXT YEAR. 'The Singing Man' as my sister called the man outside!! He was always lovely and sang to us as we walked past!! We ate there one night and the meal was nice and the staff were friendly!! Truly brilliant steaks both times we visited the restaurant. Worth every penny. Hope to visit again someday. Just returned back from Zante for a week . The guy on the front is doing his job and he does it well. Our food came out piping hot and service was quick. Alot of swearing and sexual remarks from there staff to there customers. Would recommend the pizza as its wkd. We ate here several times and each time the food was excellent - beats Mermaids! Plus they accommodated 7 of us each time. The mousakka was great! Kids enjoyed the heart shaped pizza. Can't fault the food or the staff, extremely freindly and accomodating ... I wish I was back on Zante!! we have arrived home today and we miss the food and friendly service already top class restaurant. Everything was great in there. From the beginning, at the front door, the person standing there was really kind and helpful. The food was perfect and the attention form the staff working in there was amazing. We ate here 4 times in the 14 days we were here and thoroughly enjoyed it each and every time. The guy on the door is very amusing. The roast beef and the roast lamb is excellent. Yes the man on the door is nusance, The meal was nothing special but perfectly pleasant, sevice was slow but it was very full we could see this before we desided to try it though, i really liked my dinner chicken risotto, they do say theres no cover charge on the menu but there was very naughty! Would have liked to try this place, myself and the family got so annoyed with the guy trying to ram his restaurant down your throat everytime you passed by, in the end we just ignored him, how much business do you lose like this???????????. Do yourself a favour mate and just be polite and say hello, if people stop to look at your menu, by all means intervene and speak with them about how good your food is, otherwise leave them alone, you might just get more business this way. One menu between 7, unneadable food, slow service-waiting 20 mins to order with an hour wait for the main course. A disgrace. Generally the food was good and I would recommend the Pizza. However steer clear of the Lasagne asd thery seem to feel that it should not have any tomatoes in it. never trust a place where they have to have a seller ouside. If the place is good it doesn't need someone to drag you in. This is definitely the best restaraunt in Kalamaki if not in Zante. This was our second year hear and we ate at Castello's almost every night, we are always made to feel so special. The Salmon pasta is my favourite but then again so are the spare ribs! Mikey made our anniversary very special. The family are lovely and we would like to send our best wishes and good luck to Flora, Katerina and Dinos and all the staff for a very good year. We hope to see you all again very soon. Love and best wishes Gill and Laurie.